Unlike China, Samsung’s performance in India is rather promising, especially in the premium segment where the brand captured a large market share during the month of August, according to German market research firm Gfk. Just as expected, the launch of the Galaxy Note 9 that same month contributed heavily to Samsung’s results. In fact, in the segment of smartphones priced at $540 or above, the company reached a market share of 62.5% when considering the volume of devices sold. Additionally, the company also earned 60% of all revenue generated. Aside from strong performance in the flagship segment, the brand’s various Galaxy A-line devices also proved popular among Indian consumers. 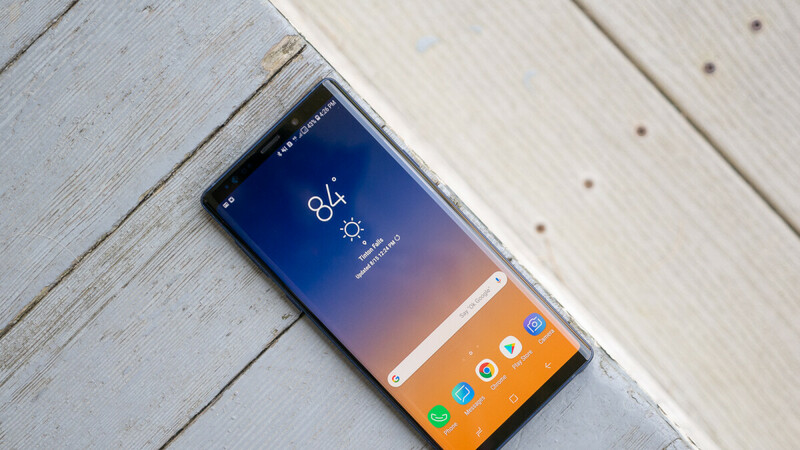 This was especially notable in the $400 to $540 price range, where Samsung’s market share sat at a considerable 55%, allowing it to rake in 55.5% of revenues in the segment. Following this impressive performance, the company is hoping to further increase its share in mid-range segment with the help of the new Galaxy A7 (2018) and the upcoming Galaxy A6s and A9s, all of which focus on introducing premium features at lower price points. Looking to the near future, Samsung hopes to increase its sales by around 20% during the festive season. Because indians think before they buy. Note 9 is a great phone. All thanks to 4000mAh battery in the Note 9. Phone Cos must use 4000mAh battery as bare minimum these days. I wonder why bigger brands reserve bigger battery to mid range phones only? May be to make thin phones? But with good for nothing fragile glass back, people are forced to use case. So what is the use of thinner and always wall hugging premium phones? Stop it mate. iPhone XS with 2658mAh beat your Note 9.
https://www.youtube.com/watch?v=c06HoSJdDjo Here's your L kid. The Note 9 is a do it all device, it deserves a top spot. Wow. The Note in India would be a very expensive phone along with Apple. Of course. And Sammie took 65% of the high-end sales. I am wondering how they pulled it off?! India is like the iPhone is overpriced boring news. Even they know the Note is the better buy if you have the cash. Only the good products strive in India, bad and overpriced products run out of business here in India. It's a very different market, people THINK here unlike other countries before buying. A well deserved win for the Note 9. It is the better phone after all, tech wise. Apple does have a slightly more colour accurate display slightly better performance and better camera in daylight(also not in all cases , I would call it 55-45 in favour of the new iPhones) , but all else goes in favour of Note 9.